THE latest report from the Exiting the EU Committee is more Project Fear from a group of MPs who do not want us to leave the EU. The report was published in response to the Commons vote on 15 January 2019 to reject the Prime Minister’s Withdrawal Agreement and Political Declaration on the Future Framework for Relations between the EU and the UK. 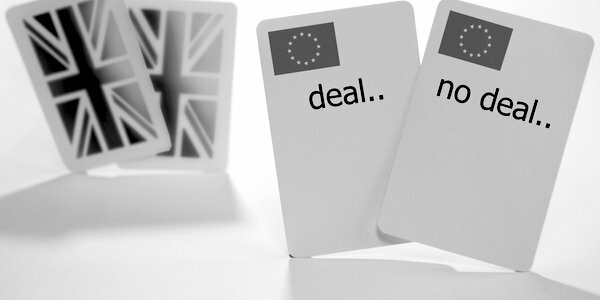 In it, the MPs – the majority of whom backed Remain in the 2016 referendum – argued that a ‘managed no deal’ cannot constitute the policy of any responsible Government. The Brexit Select Committee is a divided body, but unfortunately does not divide in any way reflective of the country on the issue of Brexit, the constituency results of many of its individual Members, nor on the promises made in the manifestos of the main parties upon which the General Election of 2017 was fought. That said, the Plaid Cymru and SNP members are at least consistent throughout in their opposition to the referendum result and are at least open enough to say it. As a member of the committee, I wish I could say that it is a constructive one to serve upon. A majority of members are concurrently seeking to overturn the referendum result by either (i) promoting Parliament to a level that constitutionally it does not occupy in asserting new rights to overturn the democratic will of the people and usurp government – the ‘we know best’ gang; (ii) another referendum is the way as the people did not know what they were voting for – the ‘let’s have another go and really ramp up the fear and hope a previous democratic instruction can be overturned’ gang; (iii) extend or revoke Article 50 – the ‘let’s spin this out and hope time allows for a referendum, a general election or reversal of the vote’ gang; (iv) let’s have a departure deal that looks very much like the EU – the ‘Norway Plus’ gang, or (v) let’s set up self-selecting undemocratic people’s forums across the country – the ‘desperately find a uniquely daft but obstructive furry and friendly remain’ gang. Take your pick, the frustraters of Brexit on the Select Committee can’t even agree the best way of delivering what they each passionately believe but will not clearly say – that they hate the referendum result and will do anything they can to block it. The latest report advances both fear for the future and loathing of the June 2016 referendum result in equal measure and attempts to be all things to all people opposed in their various ways to the referendum result. The usual Project Fear hyping up of shortage of fresh produce, the threat of essential pharmaceuticals being unobtainable, citizens’ residency rights on both sides being restricted, hard borders and the danger of restricted security co-operation litters the 71-page document. Arguments of the absurd that we’ve heard a multitude of times, but I suppose it will give the usual outlets some dramatic phrases to use. The doomsday of restrictions on data transfers looms large, despite the committee previously taking evidence that data adequacy decisions and data transfer freedoms have been successfully granted to countries as diverse as Argentina, Uruguay, New Zealand, the USA and Japan and yet none of these started from a position of full alignment and adherence to GDPR rules. Never mind the truth, it’s the soundbite that’s important. The report does, at least, graciously confirm that ‘no deal’ is the default outcome given the state of the legislative programme already passed. It makes a passing dismissive reference to the WTO and the possibility of a 10-year standstill agreement on tariffs and mutual recognition allowed for under Article XXIV of the GATT. Those of us who both personally want Brexit and recognise the frustration of the public, who want us to get on with the job, voted against the report. Is it worth a read? I wouldn’t bother. Save yourself either the trees or the pdf electrons. The Plan B must now be for a comprehensive Free Trade Deal, often called the Canada Plus, which was offered in March last year, and to finally put aside the non-issue of the Irish border. That said, a managed No Deal, trading under tried and tested World Trade Organisation terms, whilst suboptimal, unequivocally delivers Brexit. No business would enter into negotiations without being prepared to walk away. Losing the WTO Brexit choice would only weaken our position and so it must be an option.